Six Americans, including one killer in handcuffs and one military policeman, are in a helicopter gunship over Vietnam. When they respond to enemy fire from below, they involve themselves in the mysteries of Chinese feng-shui (geomancy), because their return fire strikes a long, low mountain which is actually the forepaw of the Green Star Dragon. When the wounded dragon roars in pain and anger, the resultant unnatural storm sends the helicopter and the men spinning helplessly through time and space into southern China and into the year 1857. The killer in handcuffs was a member of the Long Range Reconnaissance Patrol in Vietnam, an expert at killing, and he murders his boyish MP guard and escapes. He joins with a pirate-manned 44-gun frigate and begins planning an attack on the remaining four Americans to kill them and capture the helicopter. The Americans - Fox, Ice Man and Wizard - are led by the pilot, Hard Bones Haggerty, who is, in his own way, more than a match for the escaped killer. The men must attempt to repair the chopper while dealing with the mounting dangers around them. All the while trying to figure a way back to 1968 Vietnam. The script is based on knowledge of and research into Chinese history and square-rigged ships (windjammers). It's also a film that brings a modern sensibility (and American GI humor) to a past period with all that that entails. It is not a Vietnam war film; its attraction would lie in the burgeoning interest in tall ships and in things Chinese; (as seen in the success of Patrick O'Brian's novels and in the increasing interest shown in Things Chinese). Although Dragon Slayer is an action-adventure film set in the late Ch'ing Dynasty, its theme is about character. As Hard Bones Haggerty and his crew learn - in whatever century we live, we still have to live with our own actions and decisions and values. 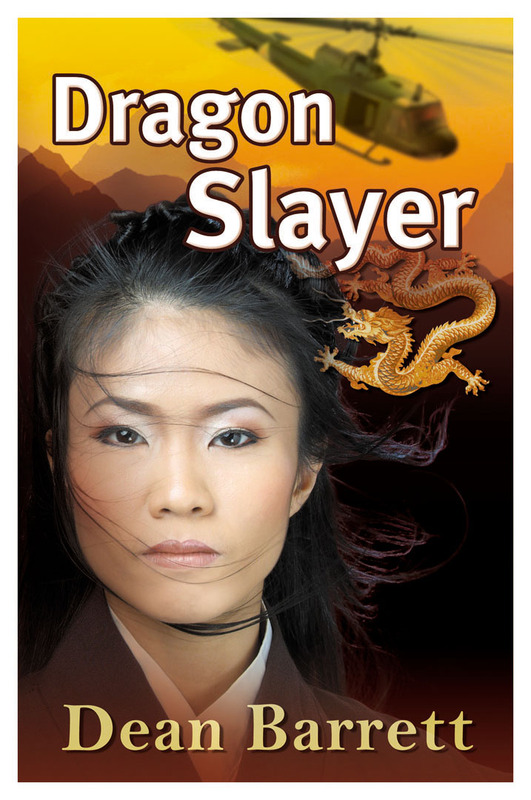 Dragon Slayer: an original screenplay in the adventure/fantasy-adventure genre.